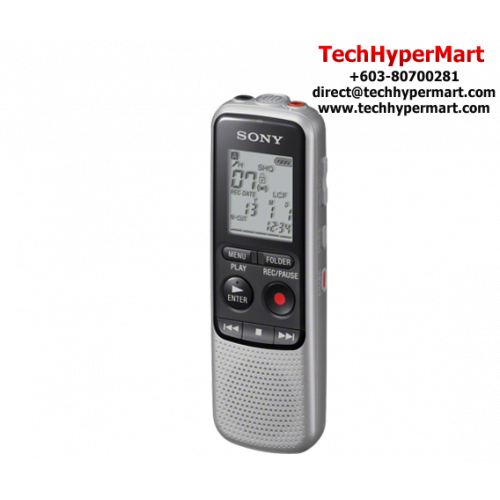 The compact Sony ICD-BX140 comes feature-packed with a powerful built-in speaker, large control buttons, long battery life and an LCD screen. 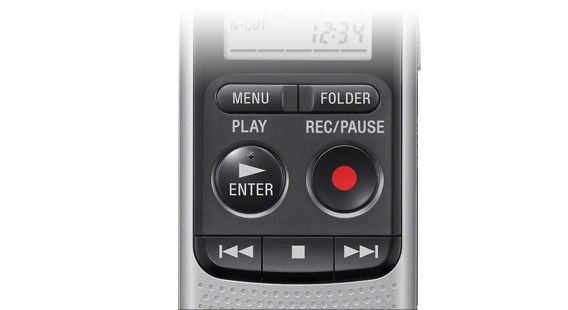 Experience the hassle-free way of capturing your thoughts and recording voice memos with the ICD-BX140 Digital Voice Recorder. 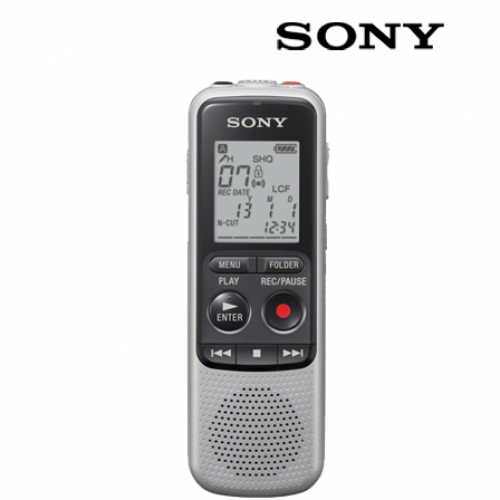 The ICD-BX140 digital voice recorder with powerful built-in stereo microphones eliminates the need for an external microphone. 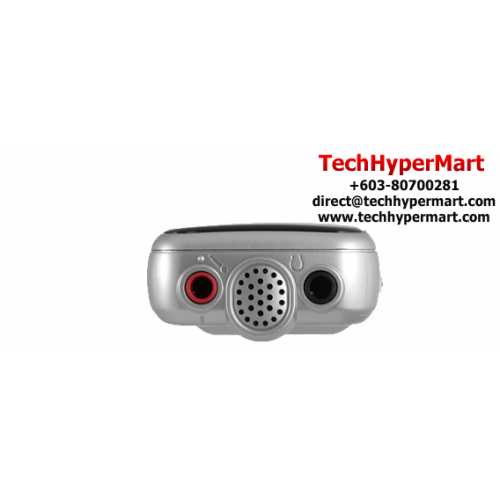 It enhances the quality of your recordings and provides richer, clearer playback. Large LCD panel shows your recording and playback information in large, readable characters. 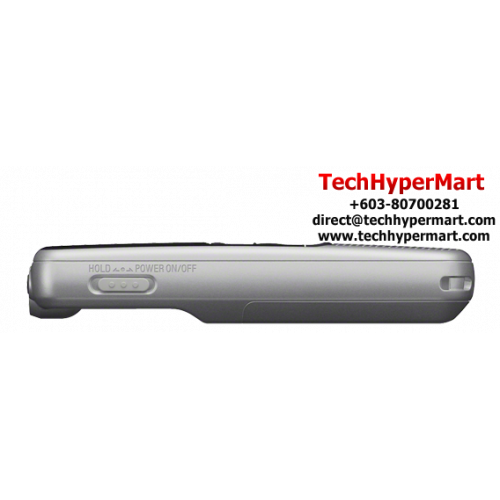 Luminous bright LCD backlight ensures good visibility even in dim-lighted areas. 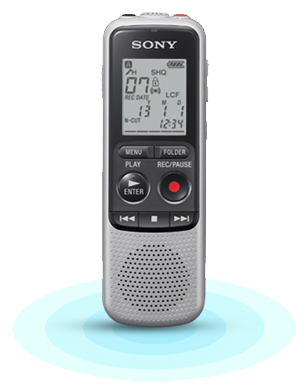 Large front buttons on the recorder offer easier access and operation. Its big-sized buttons and a simple interface make it more user-friendly. 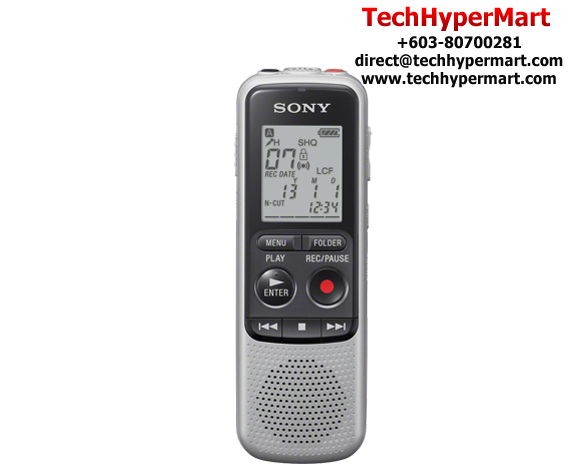 This Digital Voice Recorder is small in size but big on high-quality sound. It is feature-packed with a powerful built-in speaker, large control buttons and 4GB storage space. With so much to offer, the ICD-BX140 is a hassle-free way to record. 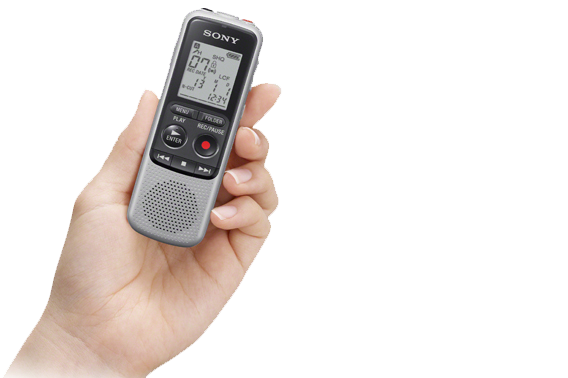 You never have to worry about running out of battery with this recorder's long battery life. 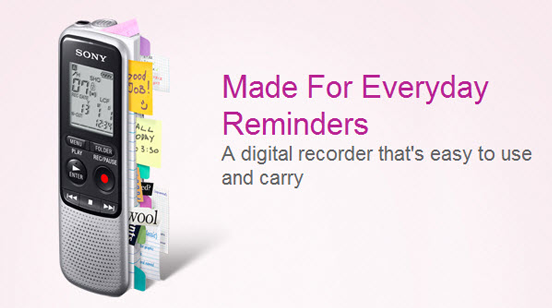 Whether it's a long to-do list, important dates or conversations, record them all with ease and confidence. *Recording in MP3 format at 8kbps. Sharing of content is now made easy without the use of specialized software.